Myotherapy is the evidence-based assessment, treatment and rehabilitation of musculoskeletal pain and its associated conditions Our ‘Myotherapy Toorak Team’ treat anything and everything from neck and back pain, overloading issues, sporting injuries, knee pain, migraines, sciatica, shoulder issues and more. Our process involves the assessment, treatment, management and rehabilitation of any conditions or symptoms relating to the musculoskeletal system. Muscular problems are usually caused by overloading the muscles we use in everyday life. Once a muscle becomes overloaded, it reacts by going into contraction and trigger points are formed throughout the muscle. Trigger points can cause a person to experience pain, muscle weakness, restricted mobility and degeneration of the muscle. Myotherapy involves locating and deactivating these trigger points, so that the body can revert back to its normal pain-free muscular state. These may be the result of a number of factors including poor posture, overuse of muscles and stress. When Should I See a Myotherapist ? If you have pain or dysfunction that may be caused by the muscles such as Myofascial pain (usually non-specific and often described as a deep ache, tightness or tenderness) then a myotherapist can help. Our myotherapist works with residents in Toorak, Prahran, South Yarra, and the surrounds suburbs. Common conditions treated with Myotherapy. During your first session, our myotherapist will assess your areas of concern and share a treatment plan with you for optimum outcome. At Eclipse Therapies Toorak, our myotherapist work in conjunction with other practitioners with the sole purpose of providing effective and efficient tailor-made treatment programs. In addition to short-term pain relief, our aim is to also assist you in achieving any individual long-term health and lifestyle goals. If you are a new patient to Eclipse Therapies wish to book a 1 hour Initial Consultation online, click here. If you are an existing patient of Eclipse Therapies making a 45 minute follow up appointment online, click here. Alternatively feel free to phone us on 98277515. A Myotherapy Toorak treatment from Annette may include various remedial techniques such as deep tissue massage, sports massage, trigger point therapy, stretching and some myofascial release techniques. The Myotherapy components maybe cupping to assist with myofascial function as well as dry needling if needed. Mindset laser coaching techniques may also be with permission from the client. It’s really a whole mind and body experience. If you are a new patient to Eclipse Therapies wish to book an Initial Consultation online, click here. Annette is a dedicated and qualified myotherapist and Coach with over 13 years’ experience in Dry Needling, Remedial, deep tissue, sports massage and cupping therapy. She enjoys treating sporting and occupational repetitive and overuse injuries specialising in deep tissue massage, myofascial restrictions and dry needling. Over the past 13 years Annette has performed clinical treatments and built up a dedicated group of regular patients in Toorak, Prahran and South Yarra. They include Cancer, post injury, Sports Injuries, Pain management and Rehabilitation post operation. 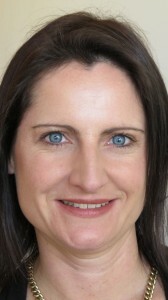 Annette is particularly adept at rehabilitation and sports injuries and specialists in shoulder pain dysfunction. Annette has current health fund rebate status with all Private Health fund. Her Myotherapy Toorak clinic has become well known by locals and is highly reputable. Annette is very passionate and knows first-hand experience how myotherapy, remedial massage and mindset coaching can assist on many levels. She finds it deeply rewarding to be able to offer these services to our clients. She is an excellent communicator and empathetic listener, and upholds the highest standards of discretion and professionalism at all times. Her clients are a diverse group, covering a broad range of ages. Annette has dealt with her own injuries and emotional blocks over the years and wants to assist people into getting back to what they were doing and even more!